Decadent little chocolate ice cream delights masquerading as truffles. 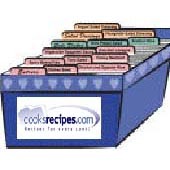 Line a baking sheet with wax or parchment baking paper. Scoop 12 small balls from the ice cream using a melon baller or a teaspoon. Place on the baking sheet and freeze for at least 1 hour. To make the ganache, put the chocolate in a bowl. Put the cream and sugar in a medium saucepan and stir over low heat until the sugar has dissolved. Pour the cream mixture over the chocolate and leave it to melt for a few minutes, then gently stir until smooth. Keep stirring every 10 minutes for about 1 hour or until cool. Sift the cocoa into a shallow bowl. Once the balls of ice cream are frozen solid, remove a few at a time. Dip into the cooled ganache and immediately roll in the cocoa powder. Return the finished truffles to the freezer and repeat with the remaining balls. Freeze about 1 hour or until solid. Once truffles are frozen they will keep in an airtight freezer bag for up to 1 month. Roll again in cocoa powder before serving, if necessary.